The Diamondback is loaded with switchbacks looping almost 360-degrees. Runs of S-curves climb and twist sharply as they snake through lush green forest in route to the Blue Ridge Parkway just above Spruce Pine, North Carolina. This heavily wooded trek, from Marion in McDowell County to Switzerland Inn, on the edge of Mitchell County, NC is an exciting and challenging drive. Two-lanes of smooth, well-marked pavement are flanked by rocky outcroppings, shear drop-offs and quick, tight hairpin curves. 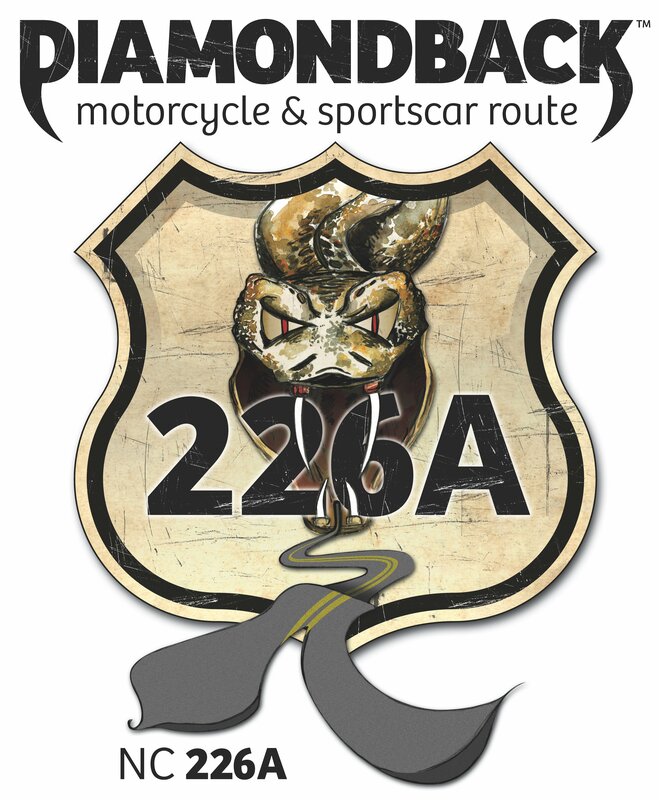 The Diamondback Lodge at Switzerland Inn is an ideal base camp for your motorcycle or sportscar group. Book your reservation now! For our international and airline travelers we highly recommend booking a personalized tour with Blue Strada Tours or Tour with Tamela. With Blue Strada Tours Bill Kniegge, a motorsports and motorcycle industry veteran of some 30+ years, will lead you and your friends on a tour that takes in some of the most challenging roads and beautiful scenery in America. Come discover for yourselves why motorcyclists from all over the world are coming to North Carolina to ride the perfect, endless, twisty roads found in the Blue Ridge and Smoky Mountains. Tamela Rich leads tours for motorcyclists in the United States and abroad. She also develops custom itineraries for those who want to tour without a guide. Get in touch for custom touring services.